Prof. Johan Verberckmoes, “THE IRISH ON THE ROAD TO SANTIAGO, FROM THE 13TH TO THE 21ST CENTURY”, LCIS lecture series in Irish studies. 18 February, at 8 p.m., Leuven Institute for Ireland in Europe (Janseniusstraat 1, 3000 Leuven). 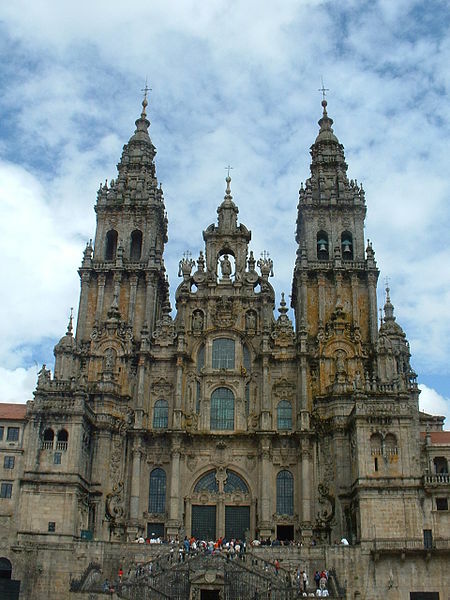 Prompted by The Irish Society of the Friends of St James in Dublin, this lecture sketches the participation of the Irish over the centuries in the Camino de Santiago, the pilgrim’s voyage to the tomb of St James at Compostela in Galicia, northwestern Spain. Sailing (and nowadays flying) to Bordeaux, the Irish connected in southern France to established pilgrim’s routes that brought them over the Pyrenees to Compostela. Or they preferred the sea voyage to A Coruña, from where the journey over land is a mere 60 km. Two hospitals founded in Dublin and Drogheda in the early 13th century testify to this long-standing participation of the Irish in the Camino trail. But it is a wobbly history. The Irish have left few traces in historical records. What the Camino has meant for the Irish people, especially in the 20th century, is only surfacing now. Since the 1990s, Irish interest for the Camino has soared, which makes it more than ever a living history. This lecture is part of a lecture series on various aspects of Irish Studies, organised the Leuven Centre for Irish Studies. The lecture is free and open to all. For further information, contact Elke D’hoker (elke.dhoker@arts.kuleuven.be).